1-2 months post wedding is acceptable especially if you have been on a honeymoon, any longer and it comes across as an after-thought. It's a bit of a etiquette no-no to write a generic 'thank you for the gift' in your thank you card, make sure you reference the item that person/couple gave and if possible something that you like about it. If they gave money it's nice for them to know what it might be going towards. This is why it's a good idea to write a list of who gave what when opening your presents or write the gift on the back of their card. Like they say it takes a village to raise a child, it takes an army to plan a wedding. 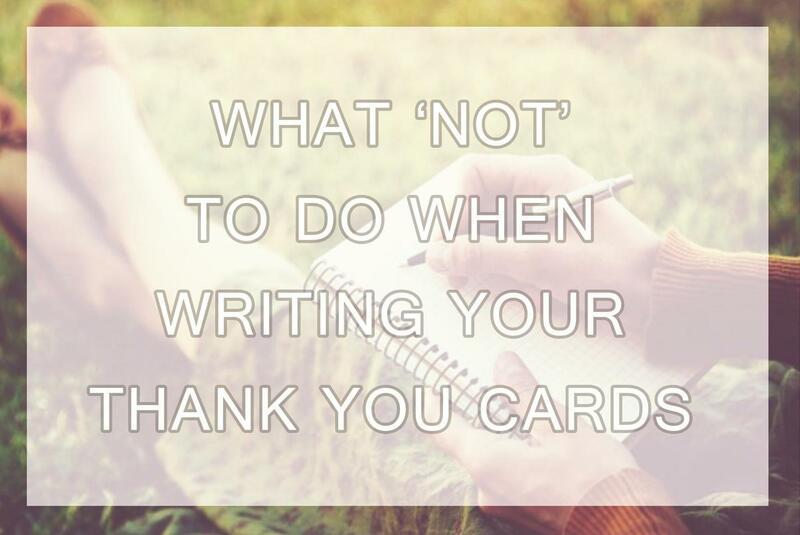 Make sure you point out any specfic tasks your close friends and family did to help in your thank you card. You may think that of course they will know you appreciated their gift but it doesn't hurt to include those closest to you with this warm tradition.